In order to meet the diverse preferences of our respected clients, we are betrothed in offering an elite collection of Marble Decorative which includes Marbles Flower Vase, Marble Watch, etc. in diverse sizes, finishes and other related specifications. The offered products are designed and developed by our highly experienced professionals from utmost grade basic materials at par with the market prevalent norms. Our marble decorative are highly appreciated for its striking look, beautiful design and perfect finish. We are manufacturing a wide range of Marble Box And Tray that are made with extreme finesse by our craftsmen. These Marble Box And Tray of high quality raw material are available in varied sizes and shapes to offer wider variety to the clients. These beautiful Marble Boxes And Tray would be the best things in someone kitchen. As they are beautifully carved and painted by our experienced craftsman they are capable enough to attract anyone towards them. 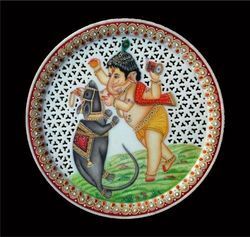 Our esteemed firm is immensely evolved in manufacturing, trading and supplying an unique collection of Marble Tea Coasters. 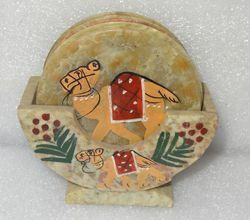 Due to its appealing look, beautiful pattern and rich design, these Marble Tea Coaster are highly used for decorative uses and gift items. 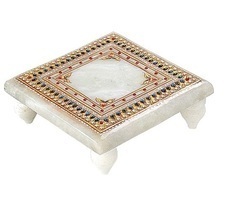 Our clients can avail from us a high grade quality range of Marble Tea Coasters. These Marble Tea Coasters are available in various sizes and specifications. Our Clients can buy it from us at competitive prices in standard as well as customized shapes and sizes as per their requirements. We are engaged in bringing forth the most desirable range of Marble Chowki for the market across the country and abroad. Each Chowki of ours is exquisitely designed and developed. The Chowki is quality approved and affordable, and it makes your mandir look beautiful. 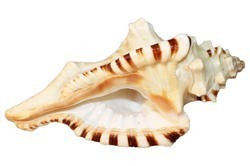 This is white natural blowing Marble Shankh. This use for puja in temple glowing and natural. The handcrafted clocks are made of pure makrana marble, gold plated and coloured with decorated stones. It is a showpiece for your drawing room. It comes in many options like pillar watch, round watch with alarm and stand, Ball watch etc. 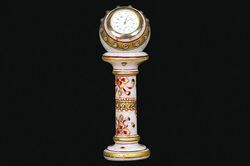 The clocks are fixed in the marble and they are showpiece which will surely admire your guests. Quality being the sole concern, we offer astonishing range of Marble Plates that are durable in nature and are designed with perfection. Our entire product range is offered in varied thickness and is designer in appeal. 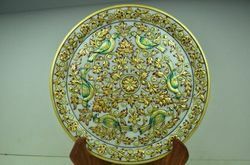 Marble Plates are creatively designed and are offered in stipulated time frame. The most beautiful array of Decorative Marble Article is offered to our clients. The Marble Plates we offer is available in various sizes, patterns and designs. 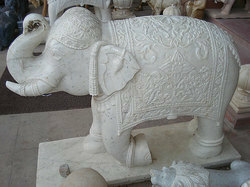 Decorated using quality material this Decorative Marble Article is made by using high grade marble. Besides this, offered products are available in the market at reasonable rates. Crafted of fine Makrana marble, the petite statue is painted by hand with luxurious gold work . Faceted beads add sparkle.